With great regret we’ve had to cancel our concert on Wednesday 3rd September due to circumstances beyond our control. We apologise for the short notice but we hope to reschedule the performance at the Friends Meeting House at some future date and time but please tell anyone you know who was going to come, that the performance won’t take place on Wednesday. 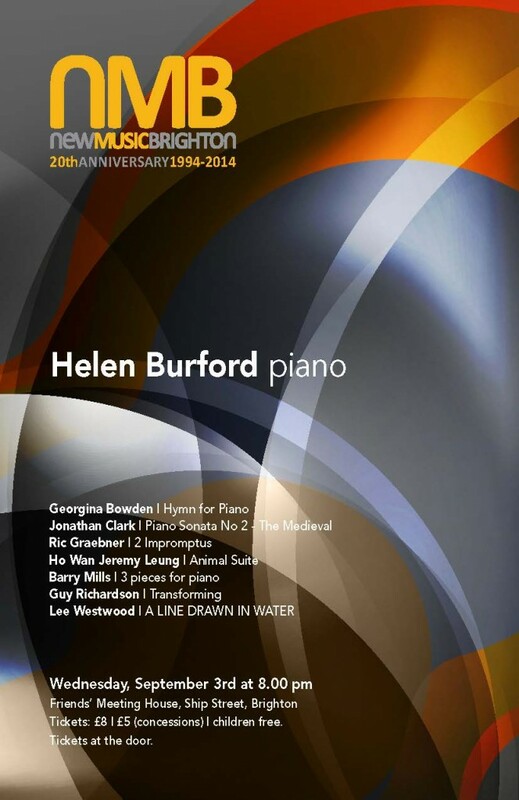 We’re pleased to announce our next concert on the 3rd September at the Friends Meeting House, Ship Street, Brighton at 8.00pm with Helen Burford on piano.